Global demand for disposable chopsticks is increasing dramatically, and it’s impacting forests. 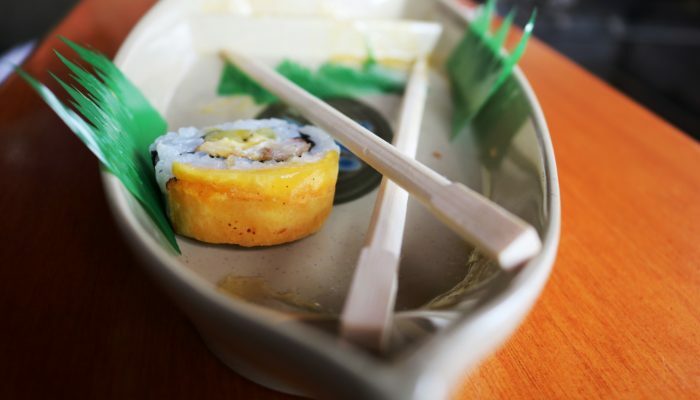 It’s time to carry your own reusable chopsticks. Here are tips on how to reuse wooden or bamboo ones. 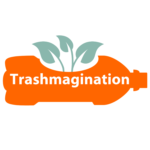 Check out the Trashmagination Pinterest board with creative reuse projects from chopsticks. Basket – Make a folding basket by drilling chopsticks ]. Necklace – Paint chopsticks with glossy paint and then drill a hole so they become beautiful beads for a necklace. Hair sticks – Some people decorate chopsticks with beads, feathers and paint to help hold their long hair in a bun. God’s Eye – When I was a kid, a popular summer camp craft was called a “God’s Eye” where you take two sticks (which could be chopsticks) and wrap yarn around them in a woven design. Doll house furniture – In episode 34, I talked about doll house furniture from recycled materials, and chopsticks can be a great material. Make a dollhouse-sized chopstick bookshelf. Yuki Tatsumi collected folded chopstick sleeves into a collection of 13,000 pieces of art. Follow this project on Facebook at the account called Japanese Tip. Red Hong Yi makes portraits and murals from chopsticks. Yuya Ushida made a sofa from 8,000 chopsticks. Its geometric design expanded and contracted to become a chair or a full sofa. In 2008, Shuhei Ogawara built a canoe from 7,382 chopsticks. 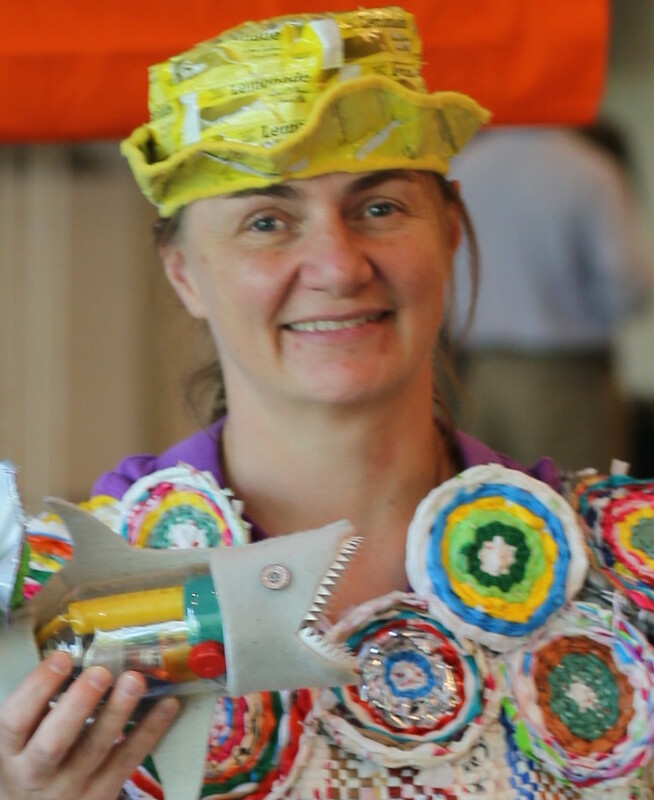 What have you made with chopsticks or chopstick sleeves? Have you invented any fun children’s activities that involve chopsticks?